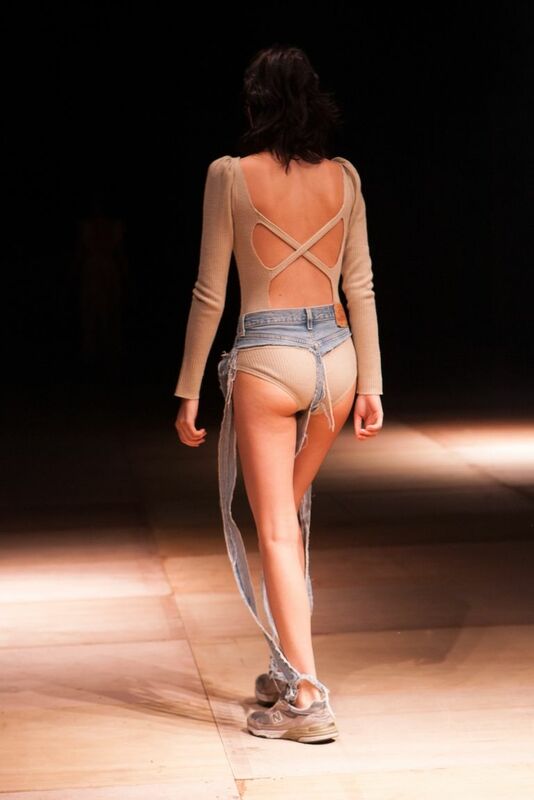 In fashion, there are no rules. But sometimes there some stuff that can make us scratch our heads. 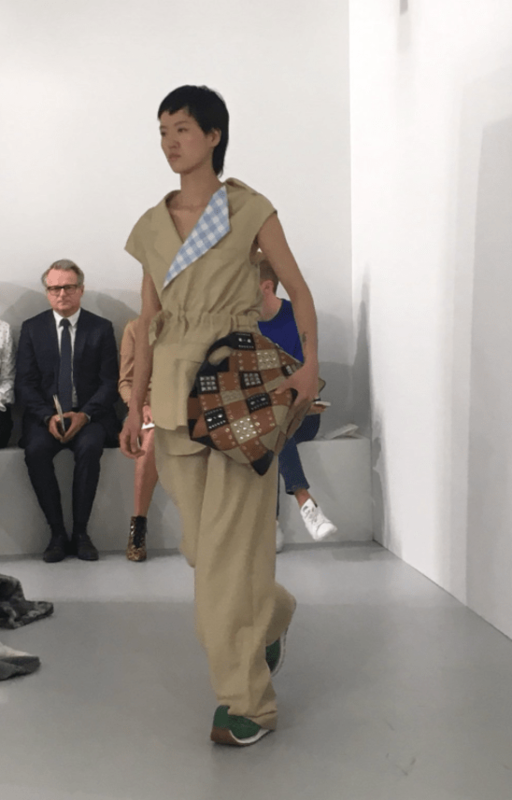 Raf Simons came out with a duct tape as an accessory, Balenciaga certainly is no stranger to putting random items on the runway such as paper bags and oversized market rainbow bags, and Chanel was selling silver paper clips at an exorbitant price. Jermey Scott sent models on the runway literally looking like bouquets of flowers. Of course, fashion also allows an individual to suspend his or her disbelief and enter a surreal world where anything is possible. It’s like the story of “The Emperor’s New Clothes”—where everyone was duped into praising the wonderful garb of the king who, in reality was wearing his birthday suit. 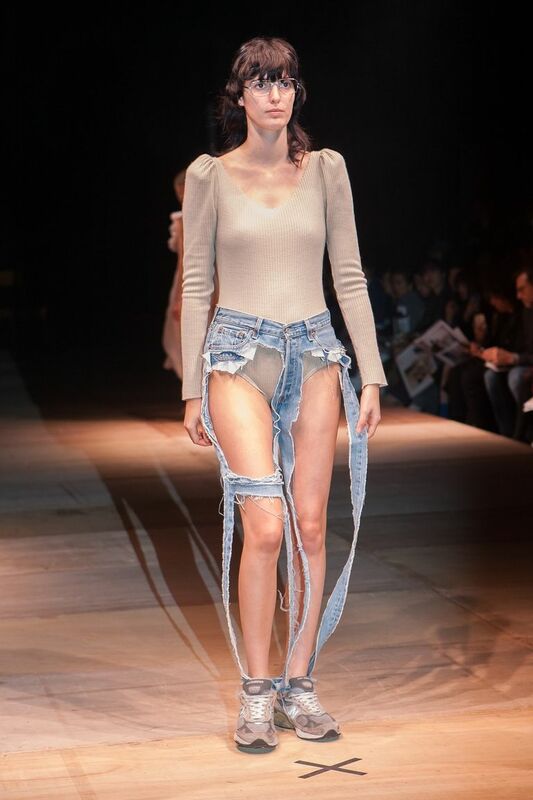 In this case, the so-called invisible jeans made its debut on the Amazon Fashion Week in Tokyo, and many were squinting their eyes as to where the jeans begin or end. Kendall Jenner first donned this trend when she was out and about in LA, and it’s the most naked pair of jeans to ever exist. New designer Thibaut left nothing but the seams and to the imagination. Who knew Santa’s little helpers are the next biggest trendsetters? 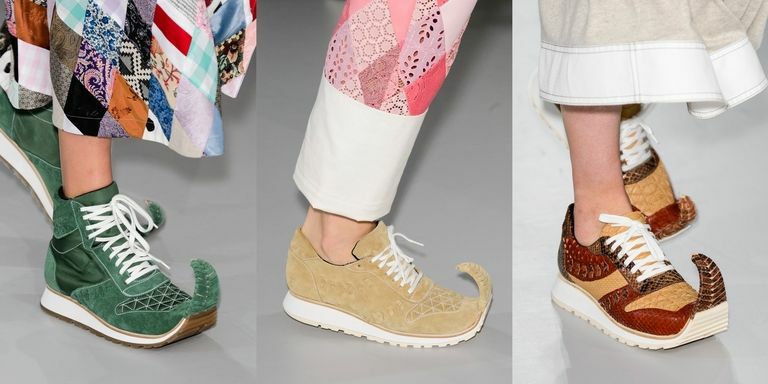 Loewe’s Spring 2018 collection hit the runway during Paris Fashion Week and everyone was looking at one standout accessory: ultra pointy-toe sneakers. If Aladdin lived as a millennial in this day and age, maybe he would have chosen this as his trademark look. 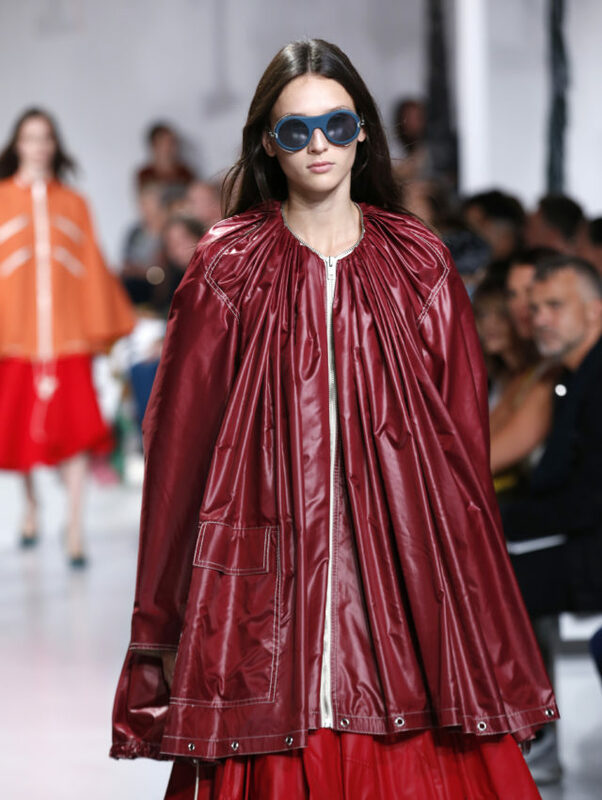 Maison Margiela is a fashion house that’s known for its avante garde looks, but during its S/S 2018 collection, a familiar item was spotted on the runway. 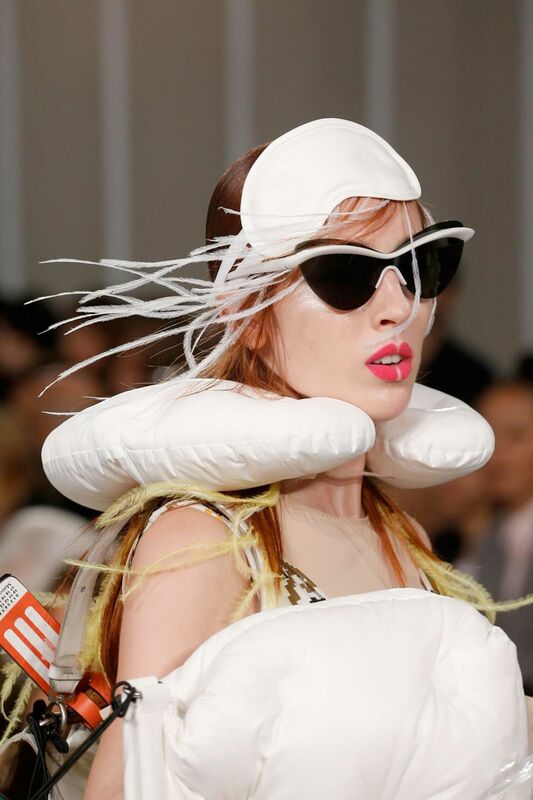 Travel neck pillows are great when you’re in a long flight and you want to avoid having a stiff neck and now it has an added function that’s similar to a necklace or a choker. Crocs are like guilty pleasures. They’re very comfortable to wear but it’s not exactly a choice footwear that you can be proud of wearing anywhere outside your house. 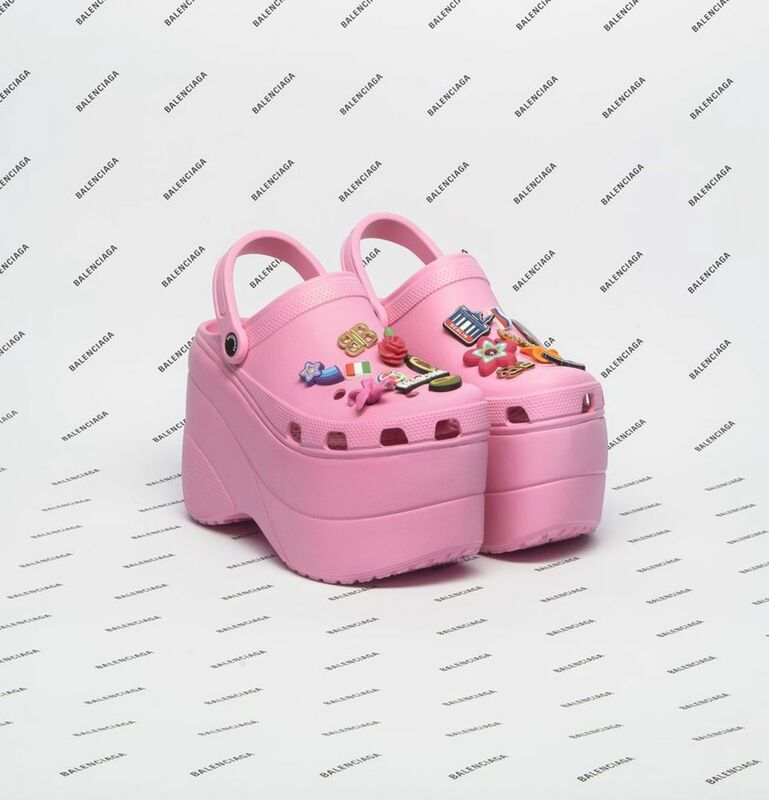 At Balenciaga, Crocs got reinvented with a 10cm platform that hopes to take its lowly shoe status to new heights. This one came straight out of a “Project Runway” unconventional challenge. 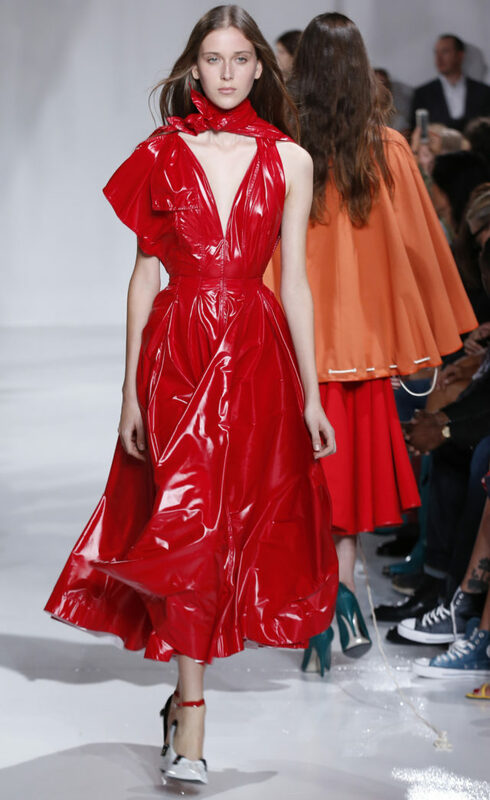 Creative director of Calvin Klein, Raf Simons, said he took his inspiration for this collection from Americana and horror movies, and to execute this vision he used material that is actually the same thing used in bin bags and tents. They look great though. The oversized bra seen at Helmut Lang’s NYFW show leaves us with so many questions. Do you still wear a bra underneath the clothes and wear another bra again? On what occasion can you wear it?